Sony Ericsson has confirmed that its entire 2011 portfolio of Xperia phones is to be upgraded to Ice Cream Sandwich in the coming months. The news was posted on Sony Ericsson's blog, with the company noting: "There have been a few questions here on the blog and in our support forums regarding our upgrade plans beyond Gingerbread. "We can today confirm that we plan to upgrade the entire 2011 Xperia portfolio to the next version of Android known as Android 4.0 or Ice Cream Sandwich. "We are working on merging our current Xperia experience with the new features in Android 4.0. "More detailed information regarding this upgrade, timing and global availability will be communicated in due course here on the blog." The phones that will be updated are as follows: Xperia arc and arc S, Xperia Play, Xperia neo and neo V, Xperia mini and mini pro, Xperia pro, Xperia active and Xperia ray, plus the Live with Walkman. 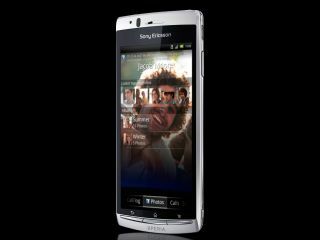 There's no official date for the Sony Ericsson Android 4.0 handover but we will keep you posted. Just this week it was announced that the code for ICS has been released for your modding pleasure.